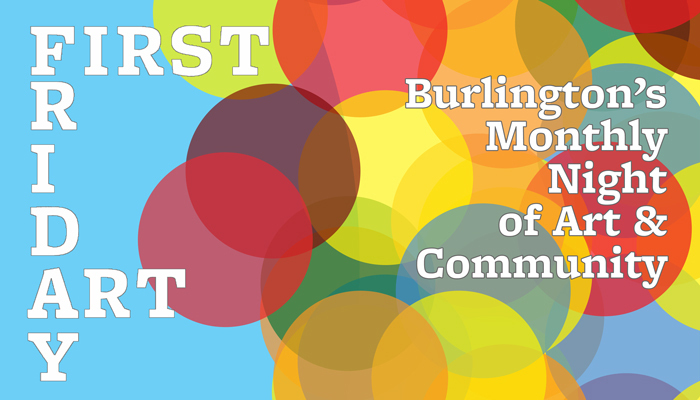 First Friday Art is a monthly, community-wide event where dozens of art venues across Burlington host openings, exhibitions, and happenings. Most venues are open from 5PM to 8PM, but some are open earlier or later. Art Map Burlington is the official guide to First Friday Art. Pick up a copy at any participating venue. Enjoy! To see what is currently on view, visit www.artmapburlington.com. If you would like a copy of the current Art Map Burlington mailed to you, send an email to info@artmapburlington.com or call (802) 264-4839. To see what is happening throughout Vermont, purchase a copy of Vermont Art Guide or subscribe.